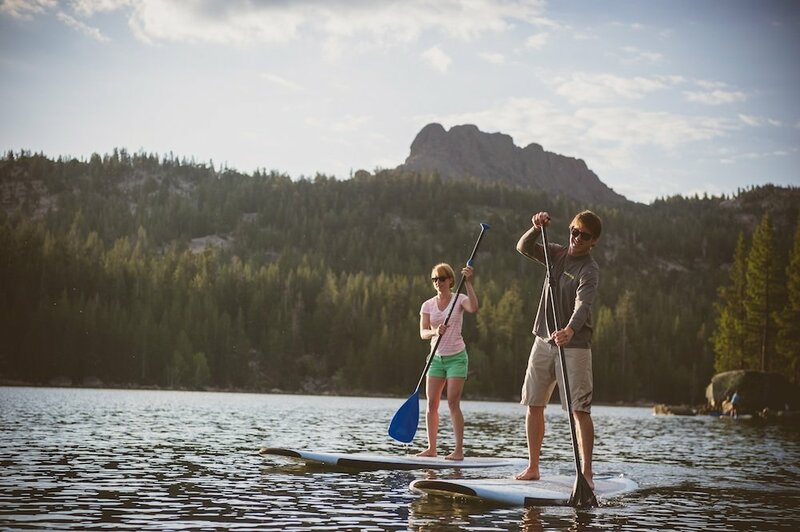 SUPing will put a smile on your face. 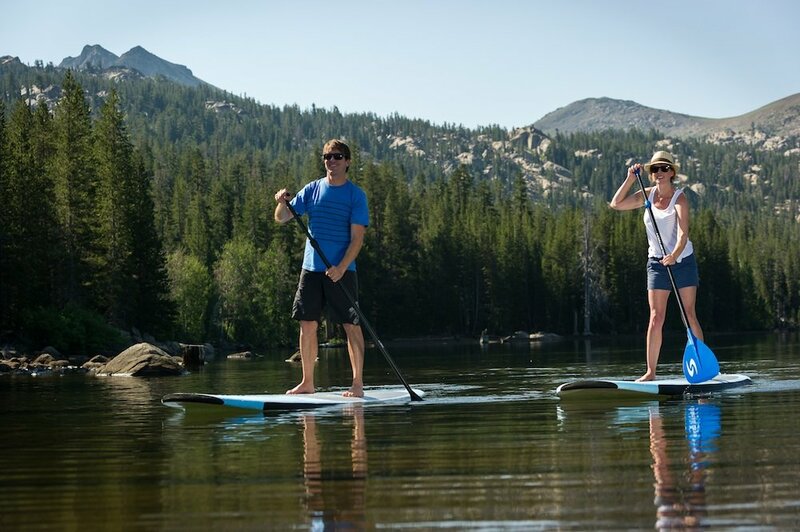 SUPing in ski country near Kirkwood Mountain Resort. 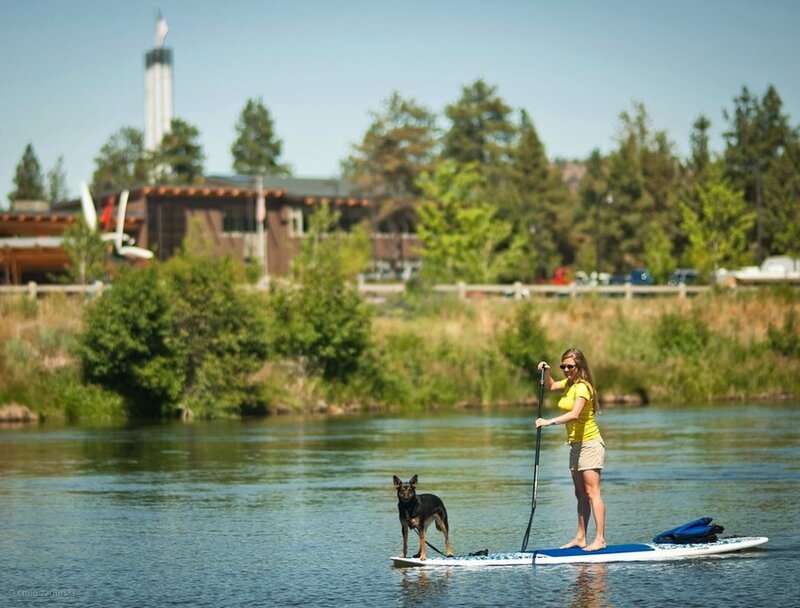 A paddleboarder cruises through Bend's Old Mill District. 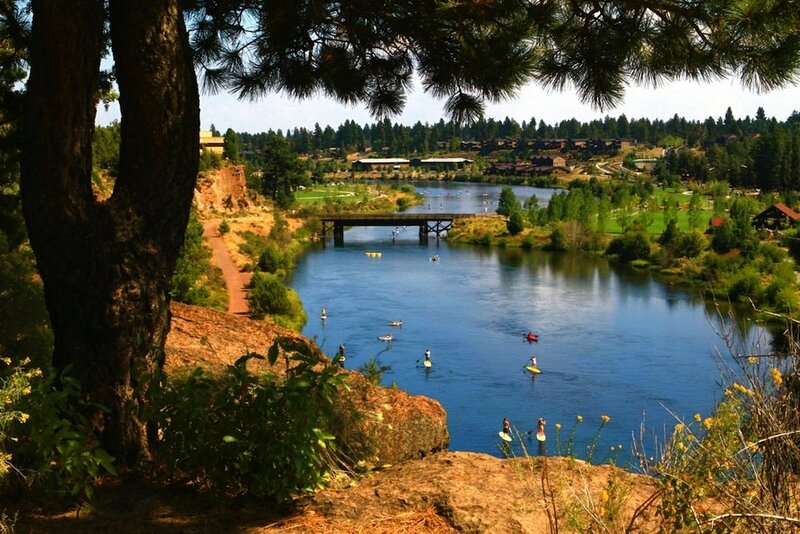 The Deschutes River offers a calm float for all SUP levels of experience.